The perception of beauty has changed over time. Beginning in the late 19th century, attitudes concerning weight, particularly among women, began to shift toward a slimmer, more athletic appearance. This change brought about a search for solutions that would make losing weight easier. Because of this, diet pills gained in popularity and have continued to evolve through the years. The first diet pills became available during the patent medicine era of the late 1800s. Referred to as fat reducers, they were based on thyroid extract, which can increase the metabolic rate. The pills were thought to be an effective form of weight reduction. Unfortunately the pills had unexpected side effects including abnormal heartbeats, increased heart rate, weakness, chest pains, high blood pressure and even death. While the risks were significant, this form of weight control continued to be available until the 1960s. In the 1930s, a new medication called dinitrophenol became a popular treatment for weight loss. The drug was shown to produce a thermogenic effect within the body. Several accidental deaths from hyperthermia caused by the drug, along with incidents of severe rashes, damage to the sense of taste, and eye cataracts began to be reported. These incidents contributed to new laws being enacted that gave the Food and Drug Administration greater control, and the use of dinitrophenol in the United States was halted. By the mid-1950s, amphetamines became the drug of choice. The stimulant was given to soldiers during World War II to keep them alert. One of the side effects was appetite suppression. This led to the pills being prescribed in the United States to help people lose weight. The risk of abuse, and adverse neurological and psychological effects proved to be more significant than the value the medication provided. Another medication, aminorex fumarate, was developed as treatment for obesity in 1965. Unfortunately, it triggered pulmonary hypertension in many cases and was withdrawn from the market in 1968. The 1960s also saw a resurgence in the use of thyroid hormone for weight loss treatment. This is often used in conjunction with diuretics, laxatives and amphetamines to promote weight loss. Eventually, this approach fell into disuse due to risks of toxicity. In the 1970s, a Danish physician used ephedrine in combination with caffeine to treat asthma. Eventually this treatment was prescribed for weight loss. 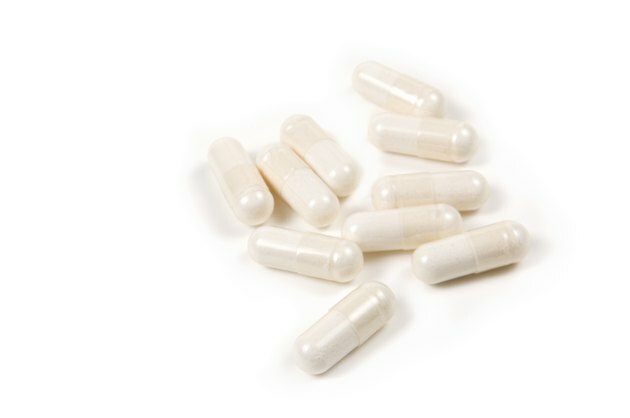 In 1994, the United States passed the Dietary Supplement Health And Education Act, classifying ephedra as an herb that did not require FDA approval. Consequently, the widespread use of ephedra for obesity increased significantly. Adverse reactions to the medication in the form of cardiovascular and neurological problems forced the FDA to declare ephedra as an unsafe substance. Phenylpropanolamine, a chemical derive from ephedra, also became popular as an appetite suppressant. Its use was discontinued when hemorrhagic stroke and increased hypertension were reported. The medication fenfluramine was approved as a weight loss treatment in 1973. Its highest level of popularity was in 1992, when it was combined with another medication, phentermine, in a medication that came to be known as fen-phen. Over 18,000,000 prescriptions were written in 1996 alone. Adverse effects on the heart began to emerge among those taking fen-phen, including pulmonary hypertension, heart lesions and valve abnormalities. Because of these risks, both fenfluramine and phentermine were voluntarily removed from the market in 1997. In the 21st century, diet pills, many based on herbal formulations, proliferated on the market. The latest entry into the diet pill arena is Orlistat, sold by prescription as Xenical and over-the-counter as Alli. Orlistat is taken to reduce the amount of dietary fat that is absorbed by the digestive tract. Orlistat is used in conjunction with a reduced-calorie diet.